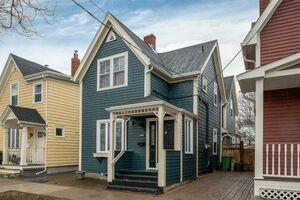 2519 2521 Quinn Street, Halifax (MLS® 201901798 ) A wise opportunity to invest in a well-appointed duplex with two separate addresses under one roof. Offers separate hot water tanks, two furnaces, two oil tanks - the owner to pay only property taxes and insurance, in a prime West End location. Situated in a great neighbourhood close to Flynn Park makes this an ideal property for a savvy buyer. Two thoughtfully laid out, two-bedroom rental units, with plenty of natural light, an outdoor patio on the main level, and ample storage space. With separate entrances, the main floor is a bright and inviting apartment featuring a large living room, dining room/bedroom, master bedroom and a fully equipped kitchen overlooking the backyard. The upper flat offers a spacious living room, dining room/bedroom, kitchen, master bedroom, and bathroom. Both units have original hardwood floors, an abundance of character, and lovely windows that fill the flats sunbeams. 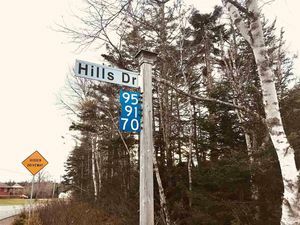 Located on a tree-lined street, just a few minutes away from the Halifax Shopping Center, and Quinpool Road. New roof in April, 2018, chimneys have been relined and have stainless steel caps, trim freshly painted. Great investment. Excellent Rental Income Opportunity!